The hubbub over Roth IRA conversions continues unabated. Many who haven't taken the plunge are debating whether to use this technique, while others who already have transferred traditional IRA funds to a Roth are looking to feather their growing nest egg. Barring any radical changes in the tax law, a conversion remains a workable option for knowledgeable retirement-savers. What's the driving force behind the conversion trend? The reasons may vary from one person to the next, but there are essentially four main types of conversions: strategic, tactical, opportunistic, and hedging. First, let's examine the roots of a Roth conversion. With a traditional IRA, you can build up your account with contributions that may be partially or totally tax-deductible, in addition to amounts that are rolled over tax-free from an employer's retirement plan such as a 401(k). But distributions are taxable at ordinary income tax rates to the extent they represent deductible contributions and earnings. What's more, you must begin taking required minimum distributions (RMDs) from an IRA in the year after you turn age 70½. In contrast, contributions to a Roth IRA are never tax-deductible, and you have to pay tax on a rollover from an employer plan. But the tax benefits come fast and furious on the back end. "Qualified" distributions - those made after age 59½, on account of death or disability, or used to pay first-time homebuyer expenses, up to a lifetime limit of $10,000 - from a Roth that's at least five years old are completely exempt from federal income tax. Other payouts are taxed under special "ordering rules," which treat amounts as coming first from nontaxable contributions. To top things off, you don't have to take distributions from a Roth IRA during your lifetime. 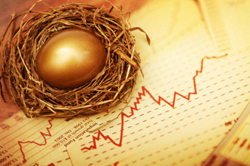 That can help preserve your nest egg for the benefit of your heirs. The money you convert from a traditional IRA to a Roth is taxable as income, and that negates some of the benefits of transferring those funds. Strategic: This kind of conversion is motivated by long-term wealth transfer objectives. For instance, if you intend to pass most of your IRA assets to your heirs, the ability to avoid RMDs during your lifetime may figure prominently in your plans. A Roth IRA lets you withdraw funds only as you see fit. In addition, converting to a Roth may be especially helpful from a strategic point of view if you're in a lower tax bracket now than you expect to be later in retirement (and thus might pay a lower rate on the conversion than you otherwise would pay on future distributions). Tactical: These are based on shorter-term incentives that may expire - relatively low tax rates, tax credits, charitable contribution carryovers, and net operating loss (NOL) carryovers. Suppose you've carried over a large charitable deduction from a few years earlier. (Charitable carryovers last only five years while NOLs may be carried over for up to 20 years.) By converting to a Roth this year, you can use the carryover to offset much or even all of the conversion tax. Opportunistic: With this type of conversion, you may be trying to benefit from short-term stock market volatility or the ups and downs of particular sectors or kinds of assets. If stocks, say, have declined in value, thus bringing down the value of your traditional IRA, you could end up paying a lower conversion tax. To take advantage of such opportunities you might create multiple Roth IRAs, using a different kind of asset class for each one. Hedging: This is the least common motivation for a Roth conversion. In this case, you're banking on rising tax rates or other legislative or political changes that would discourage future conversions. Regardless of the type of conversion, deciding whether to convert needs to be based on relevant economic variables and a thorough analysis of your particular situation. Typically, you'll need to take into account factors such as your current and projected tax rates; whether you'll need account assets to pay living expenses during retirement; current age, investing timetable, and health status; and whether you'll need to tap your IRA funds to pay for part or all of the conversion tax. We can help you make a sound decision.